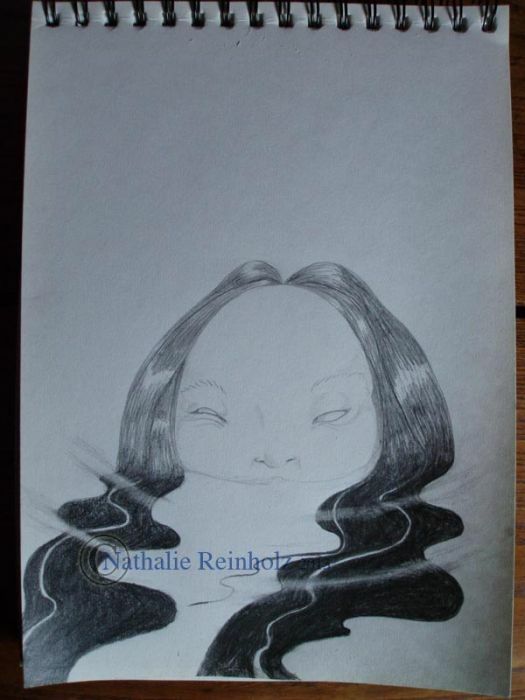 I love Johanna �st pics and she once did a swamp princess, that I bought. And another pic that even more inspired this one. A head looking out of the water. http://johannaost.com/910-bog I do not know how you can tell she is a princess but she is! And in a swamp! She will bite you when you stick your foot in. Me trying to do water ripples still pondering how the mirroring in water might work. Maybe one day... If you have an idea how I could go on with this one, please comment! Afke says: It looks kinda spooky, I like it! I love the spacing between the eyes, gives it a very different look. ~ Reply? Maigan Lynn says: Agree...she's creepy! lol! I can just imagine the swamp water around her. I think the water ripples give the right effect. ~ Reply?